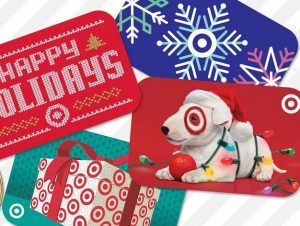 There is still time, head over to Target.com you can save 10% on Target Giftcards. It's a great time to buy for the holidays ! This offer is good today only 12/2. There is a $300 limit purchase ! You can order online now and save time heading to the store. Head over here to get yours.